Happy Friday! Since moving to Virginia this year, I've switched my blog posting schedule from M-F (five days a week!! ), to M-Th... which I think is still pretty good considering that I also work full-time. 😊 Stepping it back up to five posts just for this week though- I won't have a new post on Monday because of Labor Day, so you get a bonus one today. 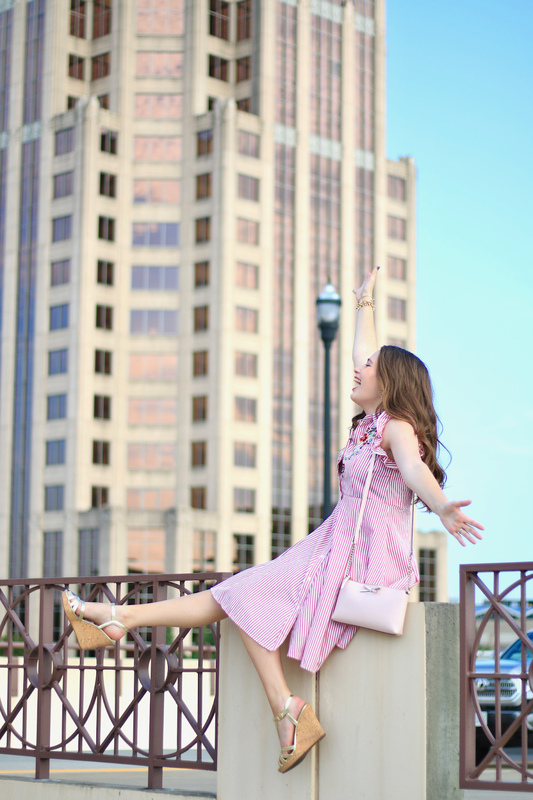 I'm excited to share a really cute dress that I wore last weekend while visiting Roanoke and Virginia's Blue Ridge region, and I also wanted to highlight a few LDW sales! This dress from Chicwish is so darling!! 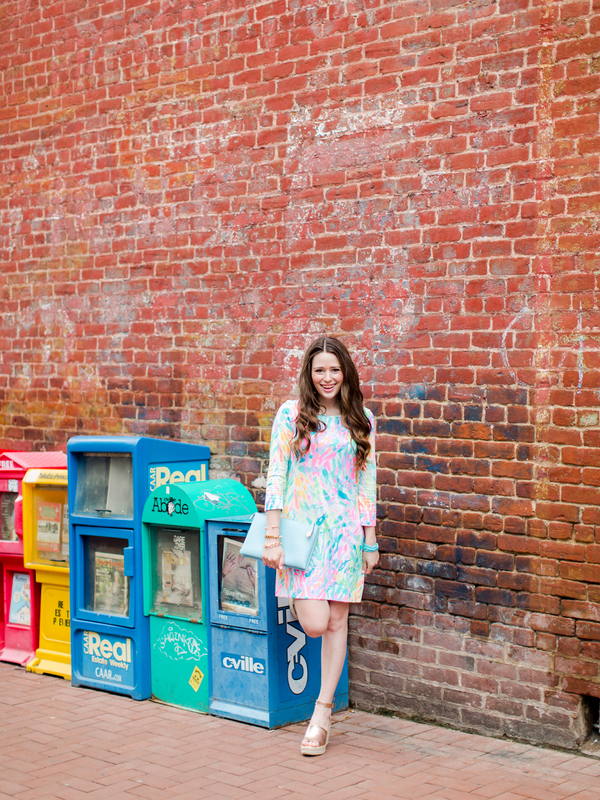 I wore it to dinner last weekend with my friend Cara (see where we ate in this blog post!). Since its primary color is red, you might still be able to get away with wearing a look like this into mid-late September. I do follow traditional fashion rules, and I'll be putting away my summer whites and very summery outfits after Monday, but with a look like this you might be able to keep wearing it for a few weeks if it's warm where you live. I typically order M in Chicwish clothing, which I did with this dress. It's just a little bit big on me in the chest area, but I think the S would have been too tiny, so I'm glad I did go with the M! *Ann Taylor - 40% off full price styles. Use code READYSETSALE. *Anthropologie - Take up to an extra 40% off sale items online (clothing and home). Take 20% off full price furniture and decor. *Banana Republic - 40% off your total purchase, online and in-stores. *Baublebar - Up to 80% off sale on summer jewelry. *Chicwish - Extra 10% off orders $100+, and free shipping. Use code E10. *DSW - Up to 65% off clearance. *Evelyn Henson - 25% off sitewide. Use code ALLTHETHINGS25. *Express - 40% off everything - no code. Valid online and in most stores. *J. Crew - 40% off your total purchase, online and in-store. Use code BIGSALE. *J. Crew Factory - 50% off everything, extra 50% off clearance. *Kate Spade - Extra 30% off sale items. Use code ONEOFAKIND. *Kendra Scott - Up to 25% off sitewide. *LOFT - Take 40% off everything. Use code LABORDAY. *Nordstrom - Get a $60 Nordstrom Note (!!!) for a limited time, when you sign up for Nordstrom Credit Card. *Shein - Take 30% off selected items. Use code SFX30. I will talk to y'all on Tuesday! In the meantime, keep up with me on Instagram! Enjoy the long weekend, I hope that it is both a relaxing and fun one. Off to Charlotte for me! 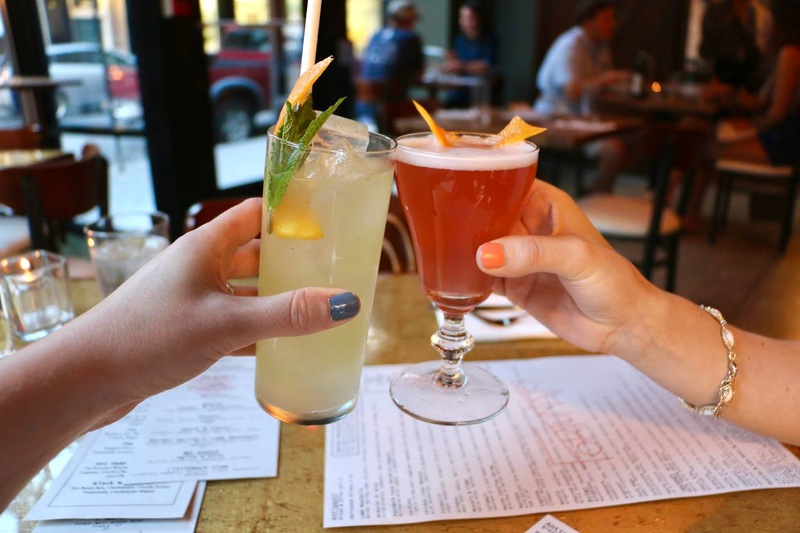 TRAVEL GUIDE: Great Restaurants in Virginia's Blue Ridge! Since I moved to Virginia back in March, I have eaten well. This state is just full of good restaurants and fun spots to grab a meal at. Last weekend, I had the chance to visit Roanoke, and the nearby towns/counties in the area, through a press trip with Visit Virginia's Blue Ridge! This part of the state did not disappoint in terms of meals. My friend Cara from Caralina Style accompanied me, and we both thoroughly enjoyed our meals during the weekend. I'll be sharing a longer and more detailed travel guide next week about our accommodations and activities in the area, but I thought it would be easier to separate the restaurants that we visited into a separate blog post. Enjoy- and let me know if you have any questions! 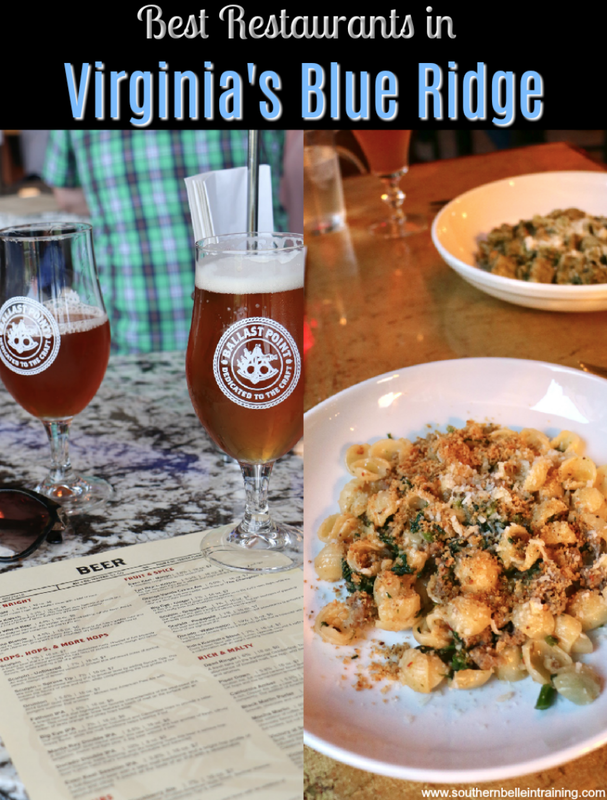 Today's post was written in collaboration with Visit Virginia's Blue Ridge. Thank you to Visit Virginia's Blue Ridge for hosting me on this trip, and providing complimentary meals, activities and accommodations. The Regency Room at Hotel Roanoke (110 Shenandoah Ave. NE, Roanoke): Hotel Roanoke is a beautiful (and huge!) historic hotel, located conveniently in Downtown Roanoke. Cara and I didn't stay here, but I'm so happy that we were able to arrange a visit to this historic property. The hotel is listed on the National Register of Historic Places! 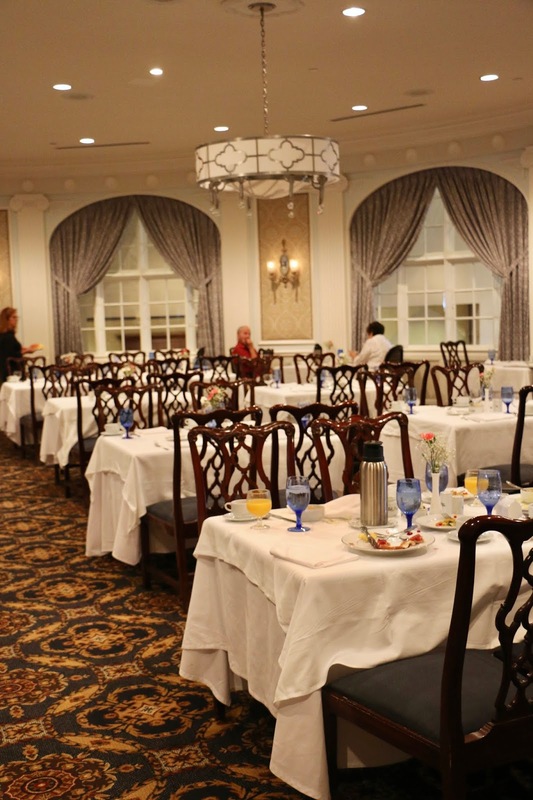 We stopped their restaurant The Regency Room for breakfast, and enjoyed the weekend buffet. 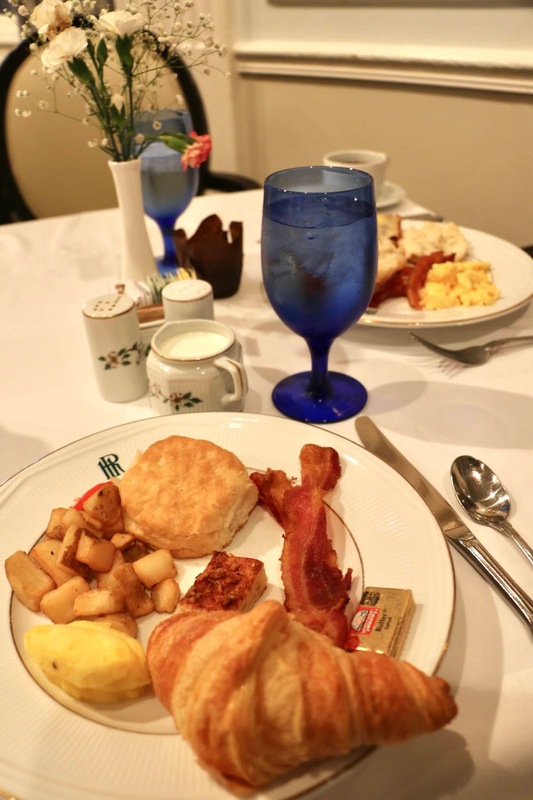 The Regency Room offers both a menu and buffet option for weekend breakfast. Being 100% honest (as I always am on the blog! ), while I adored the ambience of dining at the hotel, the buffet itself was not my favorite. At the time that we were there, some of the food options had already run out, or were going a bit cold. I will say that it looked like the buffet had a great omelet bar, (however I don't eat eggs so I didn't take advantage of that). 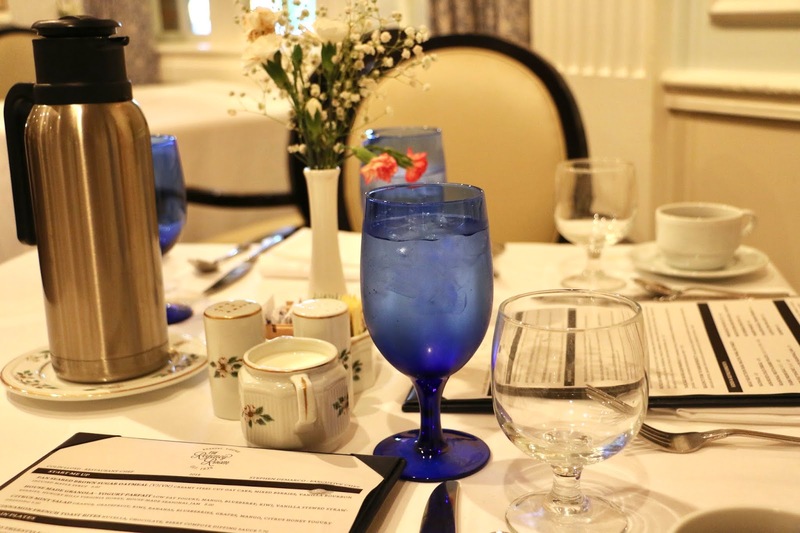 If I'm back in Roanoke, I would absolutely dine at The Regency Room for breakfast again- I would just probably try the menu items instead. Ballast Point Brewery (555 International Parkway, Daleville): Did you know that Virginia's Blue Ridge is an area known for their abundance of breweries? I went to college in Charlotte, and moved to Vermont last year for my first job- two places becoming known as a brewery destinations. However, I sadly never really took advantage of this while I lived either place (I think I went to one brewery during my four years in CLT, and two in Vermont!). Now I live in Central Virginia, which is wine country all the way! I've been loving checking those out, but I still haven't had a chance to explore many breweries. I was really excited to visit one of the prominent ones in Virginia's Blue Ridge! 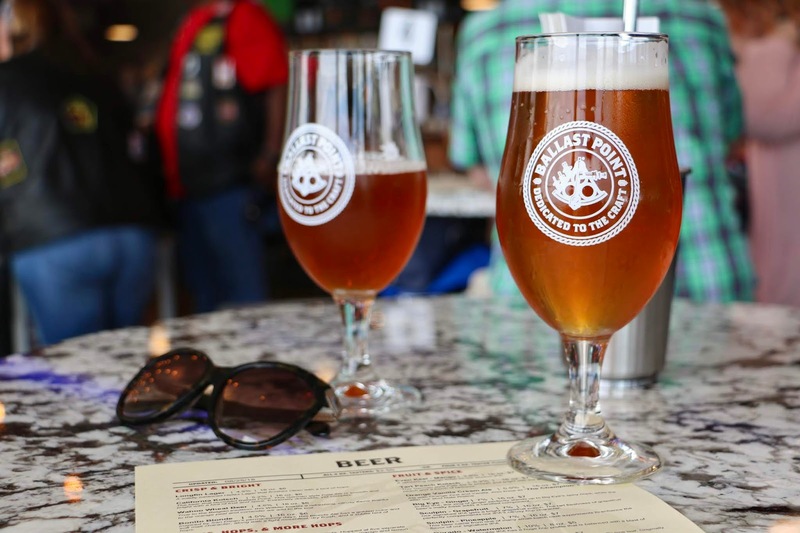 Ballast Point is located in Daleville, just a short drive from Roanoke. Cara and I went for lunch and beers after our morning adventure. Ballast Point is huge- there's seating both downstairs and upstairs, and they have a large patio with great mountain views as well. Cara tried a Moscow Mule Beer and I had an Orange Vanilla Cream beer- we both loved them! For lunch, Cara had the Chicken Caprese sandwhich and I ordered the Street Corn Tacos. They were great meals, and we both really enjoyed them. 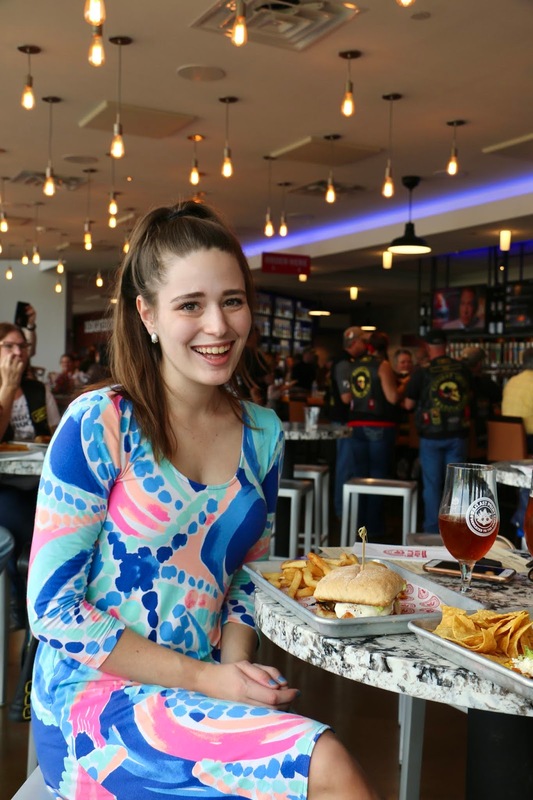 Ballast Point is a great spot to visit in the area for not only good beer, but also good food! 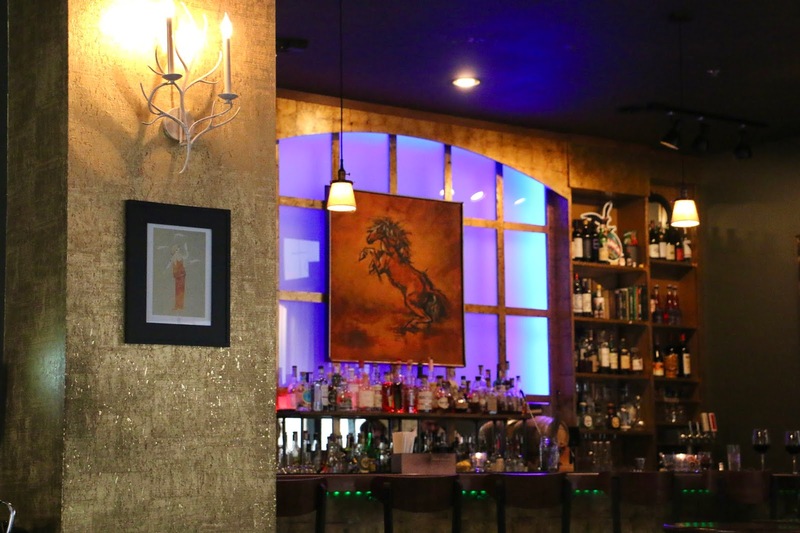 Fortunato (104 Kirk St. SW, Roanoke): I'm going to start with the only negative about this restaurant. Cara and I had a really hard time finding it! We parked in a public parking section in another part of the downtown, and decided to take a long walk before dinner. When it came time to find the restaurant- we had to use both our phone GPS's, and retrace our steps a few times! This restaurant really is tucked away. Anyways- once we found it... WOW! 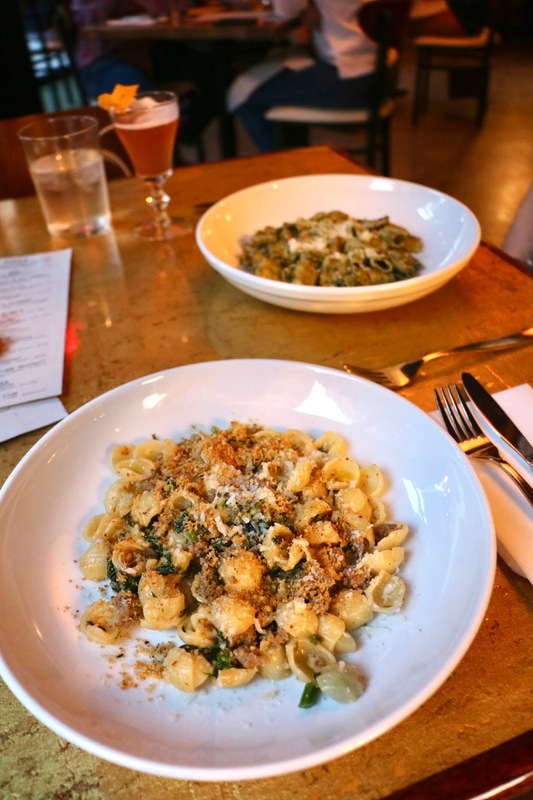 We were so impressed with Fortunato. Fantastic craft cocktails (and the waiter was extremely knowledgable about the drink menu), delicious pasta dishes, and a lovely dessert to finish it off. This would be a great date night spot! I can't remember the last time that I had Italian food as good as here. I looked up this restaurant on TripAdvisor, and I was shocked to see it's not in the Top 10 for the area! I would 100% recommend eating here. 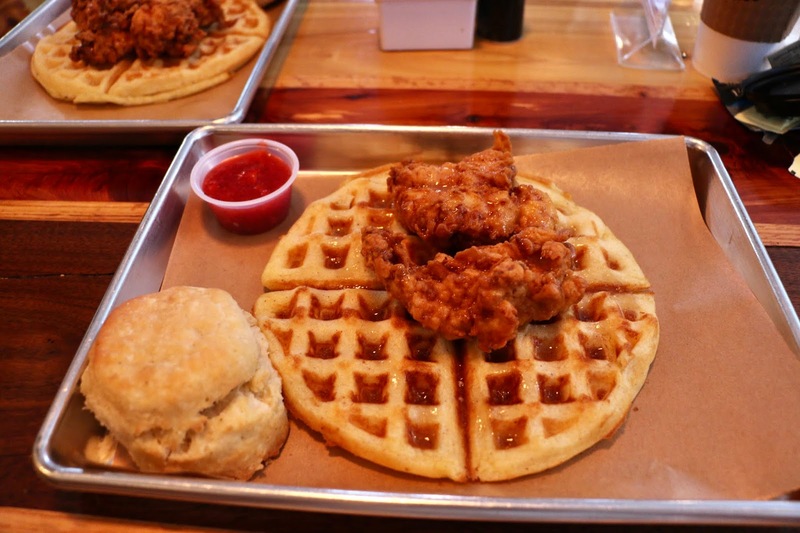 Scratch Biscuit Company (1820 Memorial Ave. SW, Roanoke): I think it's safe to say that if a restaurant has "biscuit" in the name, I'm going to be very excited to eat there. 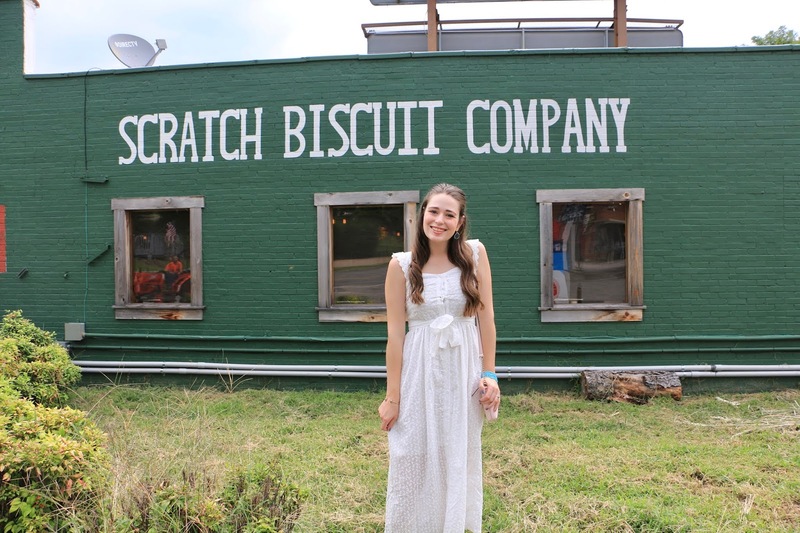 Such was the case for Scratch Biscuit Company in Roanoke! This spot is very popular on the weekends- there was a line almost to the door filled with people hungry for brunch (a good sign!). Cara and I both ordered the same thing- the chicken doughnut waffle. This breakfast was extremely filling- I could only eat half of mine! The highlight of the meal though was getting to try one of Scratch's famous homemade biscuits. 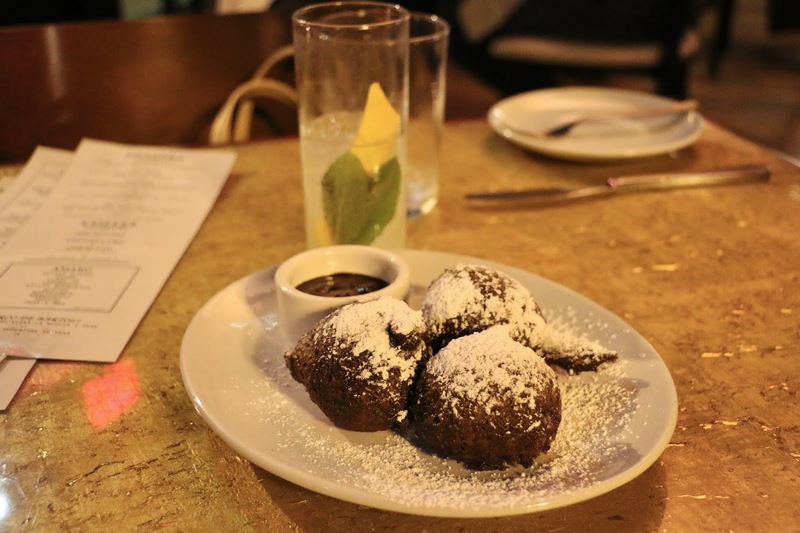 They were fluffy and delicious! Steak n Shake (1309 VA-101, Roanoke): Okay okay... I know what you're thinking, this isn't a local restaurant! I'm guilty as charged. 😊 Steak n Shake remains one of my favorite chain restaurants since I first discovered it in college back in Charlotte. Good burgers, good fries, GREAT milkshakes, and at very budget friendly prices! Yes please. Charlottesville sadly doesn't have a Steak n Shake, so I was excited to get my fill while in Roanoke! If you've never had Steak n Shake before... oh you're missing out! Have you ever visited Roanoke or Virginia's Blue Ridge region? If so, share any restaurant recommendations in the comments. I can't wait to share the second part of the travel guide next week! Viral Bridezilla story: My friend Cara first found this crazy wedding planning story through Twitter during our trip this weekend, and now it's being picked up by several news outlets! This is insane... this woman sounds absolutely delusional and is the definitely the definition of a Bridezilla. Have you seen it yet? 6th Blogiversary next week: I can't even believe it, but Southern Belle in Training turns SIX next week! (I started my blog on my 18th birthday, so my birthday is the same date!) Every year, I like to do a fun post for my blogiversary! Last year I did a post of 23 different lists of five things (Since I was turning 23, and my blog was turning 5). I'm considering doing that format of a post again, except with the numbers 24 and six (So 24 different lists of six answers)! Or I might scratch that idea do a Q&A. Please let me know what type of post you'd like to see! 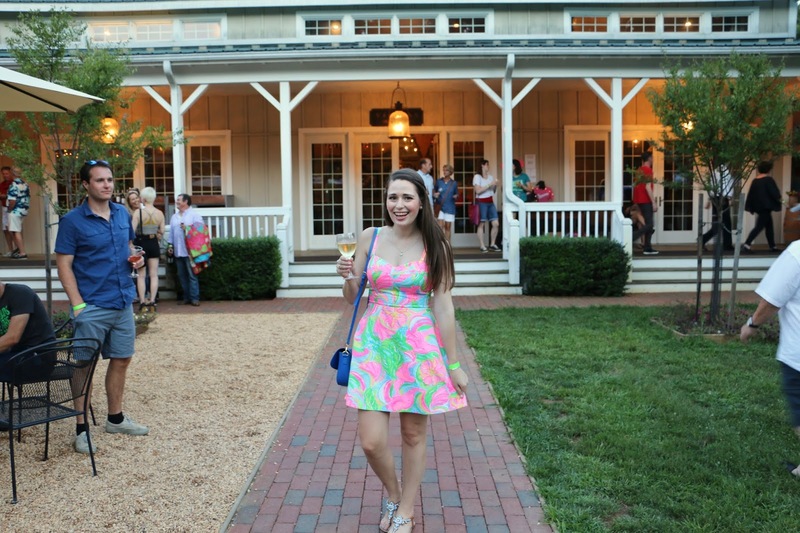 Last weekend: I visited Virginia's Blue Ridge region as apart of a press trip! My friend Cara from Caralina Style joined me, and we had so much fun. I will be sharing much more about this in two travel guide posts- first one will be published tomorrow. This is such a cool area of Virginia and very affordable to visit, I'd highly recommend a trip there! This weekend: Can't believe I'm finally able to say this on my blog.... I've literally been waiting to go back since the day I moved away. This weekend I get to go BACK TO CHARLOTTE, NC!! The beautiful city I called home for four years. 😊 I am overjoyed to see my friends (some of them who at this point feel as close as family! ), and to have an early birthday celebration in the city I love so much. I found a pair of the cutest metallic loafers on major sale at Express. If you follow my Work OOTDs that I post on Instagram Stories, you'll see that I've worn them to work the past two days! They are sold out online unfortunately, but this pair is an identical shoe, just made of suede instead of metallic faux leather. 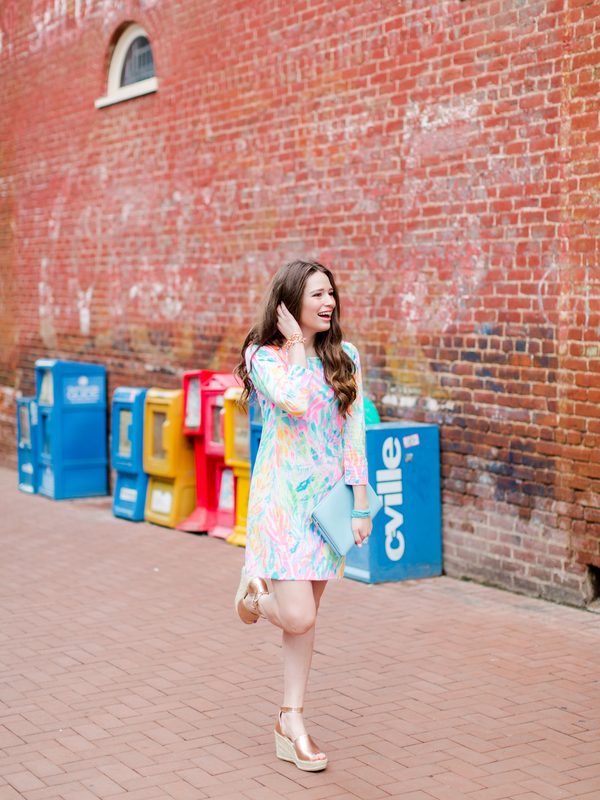 Thinking all things Lilly Pulitzer since the After Party Sale was announced! Hoping these will be included in the sale. 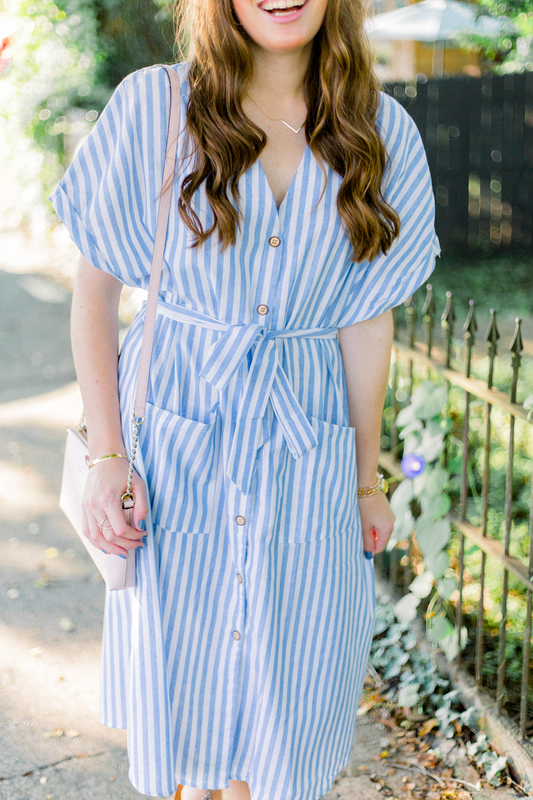 If there ever was a wrap dress that screamed "Annaliese" - it's this one! One of the best things about Kendra Scott jewelry is their fabulous birthday discount program in-store! I will definitely be taking advantage of that for my birthday next week... I have my eye on this bracelet! This skirt is everything for fall/winter!! I am obsessed with the pretty light blue color. The cutest tassel bow bag, and it comes in a few colors. Recipe of the week: Skillet Chicken and Rice from America's Test Kitchen. The America's Test Kitchen TV Show Cookbook has become one of my favorites- my high school best friend Jules bought it for me for Christmas last year. All of the recipes that I've tried so far have been great. Last week for dinner I made the Skillet Chicken and Rice- it also was a great lunch at work the next day! Song of the week: You by Britt Nicole. Throwing it way back for the song of the week! This was my jam in middle school. Lately my local Christian radio station has been playing old Britt Nicole a lot, and I'm all about it! 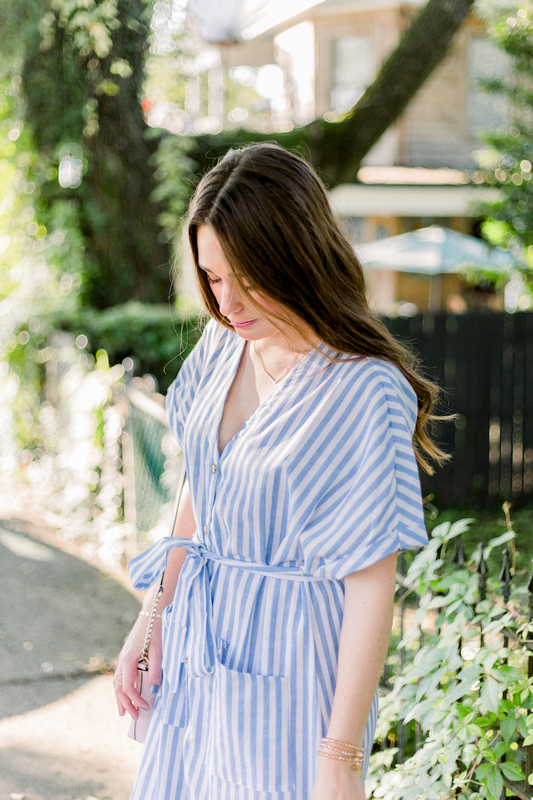 Blue + White Striped Dress...Before Summer Ends! What is the After Party Sale? 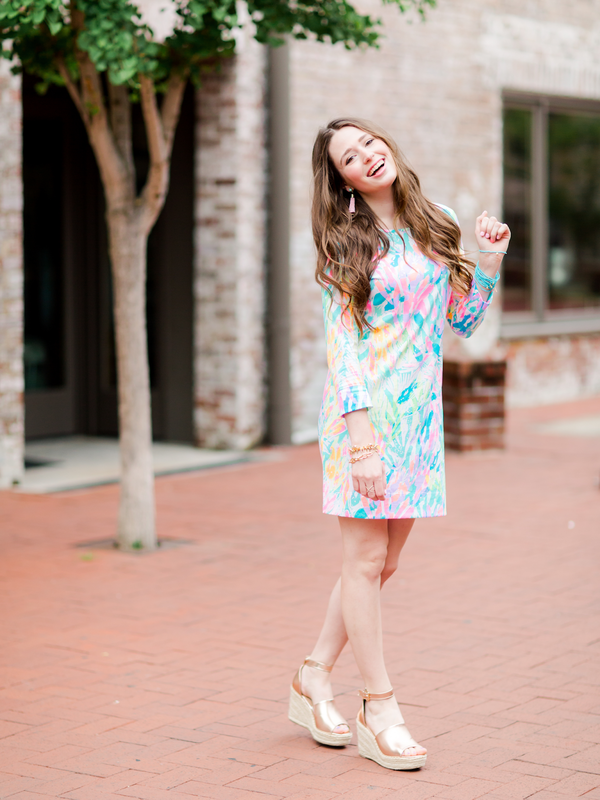 The After Party Sale is Lilly Pulitzer's best sale of the year! It is held twice a year, online and in Lilly Pulitzer official stores (some signature stores choose to participate as well), in the winter, and the end-of-summer. Lilly Pulitzer merchandise rarely goes on sale, and during the APS various fashion pieces and accessories are marked down between 30-70% off depending on the item! Shipping is also FREE (although it is always free shipping at Lilly- sale or no sale! 😉). If you're familiar at all with the Lilly brand, you know that their dresses and other apparel can be quite pricy. I buy most of my Lilly pieces during the APS since those prices fit my budget much better! A lot of bloggers get very hyped each summer about the Nordstrom Anniversary Sale... The After Party Sale in my opinion is much better than the NSale, and really is the only sale each year that I go nuts over. When is the After Party Sale? This is the first time I can remember in awhile that the After Party Sale is in September! Typically the end-of-summer APS is at the end of August. The sale runs Monday, September 10th through Wednesday, September 12th. (MARK YOUR CALENDAR!) The sale always opens to the public at 8 am EST. Trust me... from experience, if you can be online and waiting in the shopping queue at 8, you WANT to be!! I realize that some of you might be at work or in class during that time, or doing your morning commute then. If possible, arrange your schedule so you'll be able to shop when it opens! I would never encourage that for any other sale, but this one is that good. 😊 Over the past few years, I've showed up at school or work really early (or adjusted my schedule slight for the day) so that 8-11 am is dedicated to shopping. What is the queue shopping system? If this is your first time shopping in an After Party Sale, you might be surprised at how popular this is! Lilly's website gets an enormous amount of traffic in the first day of the After Party Sale! If you're online and ready to shop at 8 am, you will be placed into a queue while waiting for the website to open. You might get scared if you see your shopping number say something very high like 50,000... but don't panic! Lilly uses this system to try and prevent website crashes (which have happened before). Generally speaking, the line does move quite quickly. I can only think of one APS when I had to wait a full two hours for my number to get me into the website, and even then I was still able to purchase the item that I wanted! Other times, I've gotten into shop in less than 20 minutes. The main thing to remember is DO NOT refresh your browser! Just wait it out - it will pay off! Something you can do though is shop on multiple devices! Pull out your laptop, work computer, iPad, phone (Lilly has an iPhone app! ), old iPod Touch, etc. 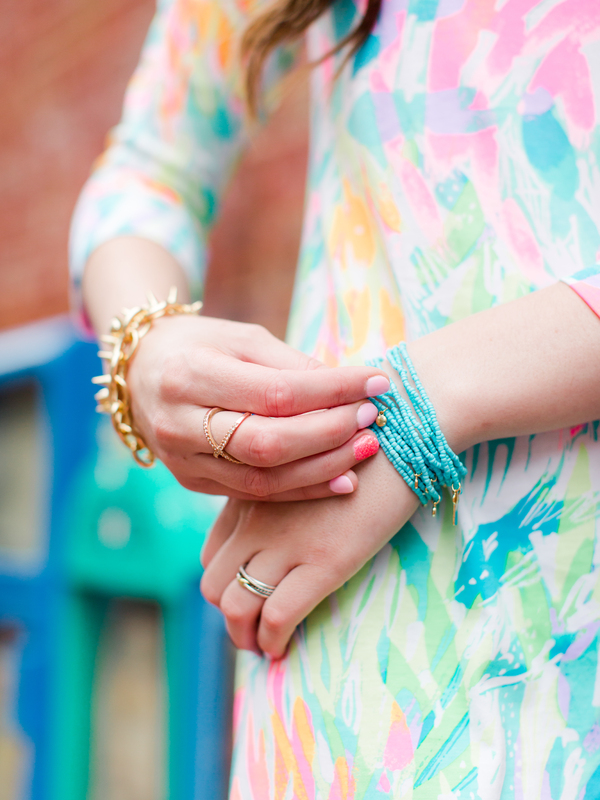 A final tip for today- if you don't have a shopping account with Lilly Pulitzer yet, make one NOW! This will save you so much time for the day that the sale opens. I hate online shopping and the queue sounds stressful! Can I shop in-store? YES! All Lilly Pulitzer company owned stores and most signature stores participate in the APS. This is a great way to support your local Lilly store by shopping in-store instead of online! Some stores even do an in-store preview of sale merchandise the day before the sale. Find your closest Lilly store here! A lot of signature stores post their APS merchandise on their websites or Instagram, so if something you love sells out on the Lilly website, you can try shopping that way too! Any shopping strategy tips? Something to keep in mind is that the After Party Sale is 100% FINAL SALE, so if you purchase something that does not fit, you will have to get creative in ways of reselling the items. I recommend browsing the Lilly Pulitzer website now to get an idea for the types of clothing and accessories that you might want. These exact pieces might not be the ones featured in the sale, but chances are there will be something similar! (Like the same style dress in another print.) What I'm looking for varies each time there is an After Party Sale! Last time around, I was looking for Lilly pieces that I could wear to work, since in the winter I was starting to look for new radio jobs (I ended up finding my new job about a month later!) This time around, I'm specifically hunting for Luxletic leggings or pieces (this is Lilly's activewear line), casual tops, and a new shift dress. How does sizing work for Lilly Pulitzer? This is a brand where sizing does vary between different styles of clothing! I've worn everything from an XXS to an M, and numeric sizes 0-4- depending on the piece of clothing. If you're not familiar with Lilly, if possible try and get to a store before the APS so that you can try on some pieces yourself and get an idea for what you like. I have published two Lilly Pulitzer style guides in the past year (in partnership with Pink Colony in Stowe, Vermont! ), and in both of these posts I share which sizes I'm wearing in which pieces. What will you be shopping for in the upcoming After Party Sale? I had a whole different type of fun blog post planned for today with these photos, where I was going to share some of the weird annual traditions that I have from blogging (like buying balloons every year for photos to celebrate my blogiversary). I have saved that entire blog post topic as a draft and I'll be sharing it another day- don't worry! Today instead I'm just sharing this late summer outfit, and about something that happened this weekend. Side note- Southern Belle in Training got a makeover a couple days ago! These are the first changes to my blog template that I've made in three and a half years. I did choose to keep my lovely blog and brand logo... my friend Gina designed it for me in 2015, and I'm just not ready to part with it yet, as I still love it a lot! As far as the new blog design, I will be tweaking it over the next couple weeks, so bear with me as I adjust everything until it's perfect! As usual, fashion talk first! 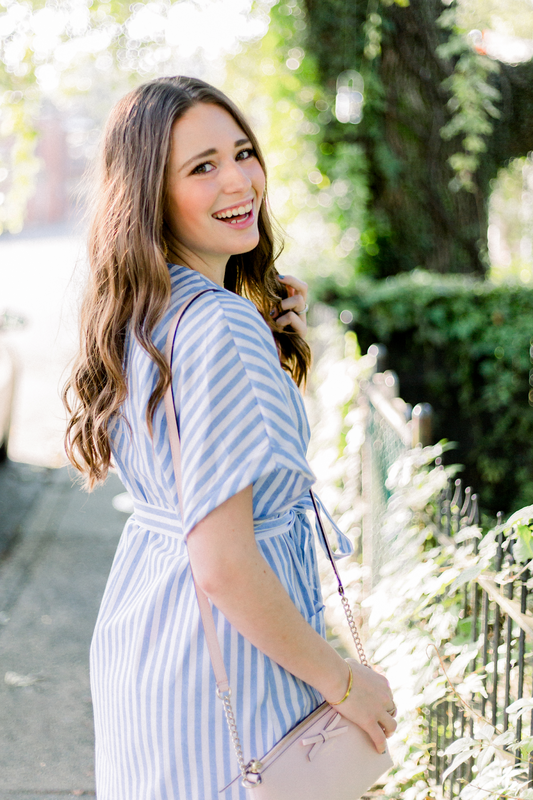 Isn't this blue and white striped dress just darling? I feel like the silhouette has a fun vintage feel to it- this style reminds me of summer dresses of the 1950s I think. Normally when I shop at Shein I order up (I'm generally a size S, but at Shein I always order a M.) I ordered an M in this dress, but it ended up being a bit big on me! I was able to tie the bow around the waist tight enough that you can't tell too much in the photos, but I definitely could've gotten away with a S in this style- just so you have that sizing info! So a major blogging pet peeve of mine is when bloggers vaguely tease big news. Whenever I read a blog post like that... I'm like, "Just tell us!?" Well right now I'm about to be a massive hypocrite and do exactly that- please forgive me in advance! On Friday, I received some very unexpected and tough news in my personal life. This will 100% be news that I will share on the blog and with all of you as soon as I can (I wouldn't tease you and be vague right now if I couldn't share it in detail at some point soon! ), but unfortunately I can't share more today, as I need more details to be solidified before I can say anything here. You might have seen this past weekend that I was on a travel blogging trip to the Blue Ridge area of Virginia (Roanoke). This trip had already been scheduled for weeks, and despite the fact that I received some life changing news earlier in the day on Friday, I still had to go and do my job as a travel blogger this weekend, and make everything look amazing on social media/Instagram. (Don't get me wrong, the trip was AWESOME and I really can't wait to share more with y'all soon about that.) My point of saying this.... this weekend and having to still do my blogging assignments and capture content while it felt like my heart was breaking into a thousand pieces and my head was in a totally different space.... it was weird. It really reminded me that social media and even blog posts aren't always an accurate depiction of what's going on in someone's life. This reminder was definitely one I needed. I will share more about this sudden surprise in my life as soon as I can- in the meantime I would ask for your prayers and thoughts this week. It would mean the world to me as I navigate some big life things coming up. Reading the bible chronologically: This past week I started reading the bible from Genesis Chapter 1! I've enjoyed reading the bible and certain stories again and again since I became a Christian years ago in the 7th grade, but I've never read the entire bible chronologically. I saw online that if you read the bible in chronological order and read one chapter a day, it will take you just over three years. My goal is to read a minimum of one chapter a day, and more on some days that I feel up to it. I don't mind if it takes me a long time to complete- but either way I'm excited for this and hope I can stick with it! Crazy Rich Asians book vs. movie: In Monday's blog post, I shared how much I loved seeing Crazy Rich Asians in theaters on premiere night! I was also a huge fan of the book by Kevin Kwan, which I read this spring. While I was very impressed with the fact that the movie stayed pretty close to the storyline and details in the book, there were a few differences with the two, and this article breaks that down so well! Last weekend: I treated myself to an "Annaliese-date" on Saturday, and it was so needed and fun! I spent the day in Richmond, which is quickly becoming a favorite city of mine (see my Richmond Hotel Review blog post here!). I started the day meeting a friend from college for tea, and then spent most of the afternoon shopping- I found so many goodies for my apartment. I ended my day in Richmond by driving downtown and visiting the state capitol! On Sunday I had church in the morning, and then this weekend I hosted the weekly brunch and sermon discussion that the young adults at my church do each weekend. It was my first time hosting, and I had everyone out by my apartment pool! Sunday evening was my last meeting for my summer bible study group. I was sad to see that end, but also happy because it means my regular church community group will start meeting again soon in September! This weekend: I'm heading on a travel blogging weekend adventure! I am really excited for this opportunity and can't wait to share more. This trip is extra special since my Charlotte blogger bestie Cara is accompanying me as my plus one and photographer! Lately I've been really trying to purchase only practical clothing items- meaning that I can style them into multiple outfits. This cute shirt totally fits the bill, and it'll be a great transitional piece from summer to fall! And MORE!!! Seriously- I have little self control with home decor. While shopping this weekend I saw a turquoise couch, and I think that's replaced a pink couch as my dream piece of furniture! I got my first pearl embellished sweater last fall, and this one makes me want more of them! Krista from Covering the Bases keeps raving about these low heels, and I might just have to try them for myself. This darling blouse is from one of my favorite clothing lines, and it's on sale right now! 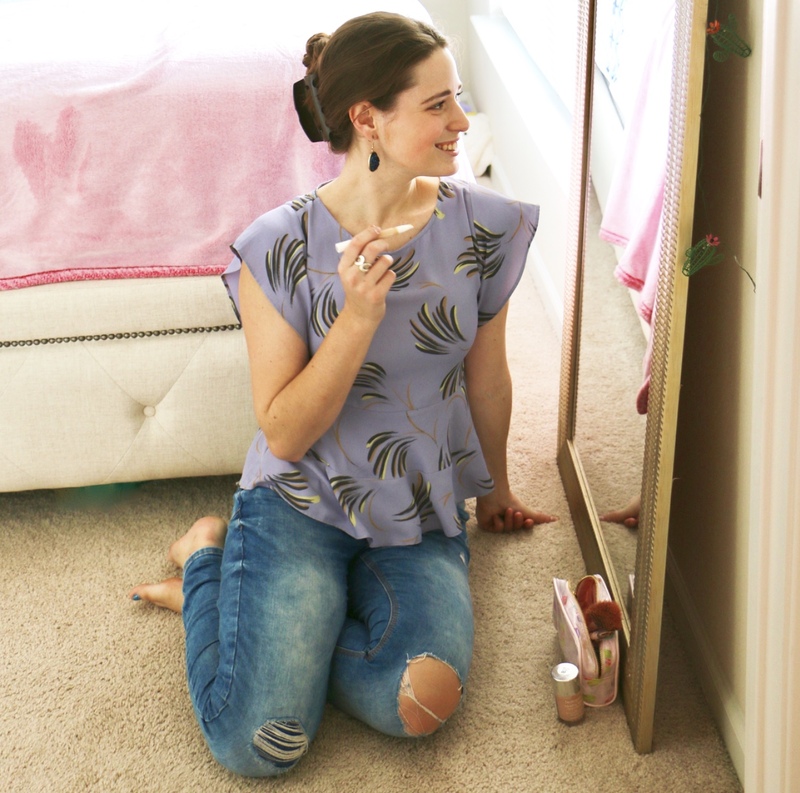 An under $20 dupe for a popular Nordstrom blouse that I have! Loving the bright green color. Recipe of the week: Muffins from the Better Homes and Gardens Cookbook. I made these Sunday morning and they were a hit! This is a great recipe for a tasty muffin, and then you can add whatever you'd like to the recipe. I added in chocolate chips, and they turned out perfectly! Song of the week: Side Effects by The Chainsmokers ft. Emily Warren. So I wasn't a Chainsmokers fan at all when they first came out a few years ago. I did love their recent song Sick Boy, and now I'm really into this new song Side Effects! Maybe it just took awhile for them to grow on me? If I had to give someone my age or a little bit younger than me (either a guy or a girl) three tidbits of life advice, these are the things I'd tell someone. 1.) Always keep $1000 in an emergency savings account, 2.) Don't be afraid to take a job in a new city or state, and finally 3.) Become involved with a church. In today's blog post, we're going to talk all about that third item!! The last time that I wrote specifically about church hunting on the blog was last spring, shortly after I moved to Vermont. That was more of a personal post about my own church hunting experience in Vermont. I've also written a previous blog post about why I think church attendance and community is important (especially for millennials). So in today's post, we're going to talk about the how-to's: how to find a church, and how to get involved in one! For a bit of background with myself and church hopping/hunting, I grew up attending three different churches over the years back home in Maine. My parents and I went to one from when I was a baby until I was seven or eight years old. My mom and I then started attending a larger non-denominational church in a neighboring town, and we went there for five years. I became involved in the middle school youth group in 6th and 7th grade, and this is the church that I consider to have found Jesus at. We then started attending a smaller church closer to where we lived when I was in 8th grade, in the Advent denomination (different from 7th Day Adventist!). lMy dad still plays in the worship team at this church, and it's the one I go to when I'm home in Maine. I had already had experience switching churches from growing up, so I wasn't too scared to find a church when I moved out of state as college freshman. I've now done church hunting on my own four times! First in the small town that my first university was at, next in Charlotte when I transferred colleges, third when I moved to Vermont for my first job, and finally, here in Virginia! I'm not sure if this is just a weird coincidence or a "God Thing," but each time that I've church hunted in these four different places, the third church I visited was "the one." Two of the churches I've gone to have been Baptist, and two non-denominational (currently at a non-denominational one now). Other millennial aged people attending the services: There is so much more to church than just attending services on Sundays. Making friendships, getting involved in different ministries, and just being apart of the church family is crucial. Speaking as a single young woman, I'd find it very hard to be enthusiastic about continuing to go to a church if there wasn't anyone else near my age or in the same stage of life there. I think the best churches are diverse churches: with members being both diverse in ethnicity and life background, but also in ages. It's wonderful to see a vibrant church filled with everyone from babies to the elderly! A nice mix of a families, married couples, and singles. However, it could definitely be hard to feel really connected at a church if the majority of members are all much older (or younger) than you. In past circumstances when I've church hunted, I've found some that have thriving children's and youth ministries, but nothing going on for single adults, and few attending the services. 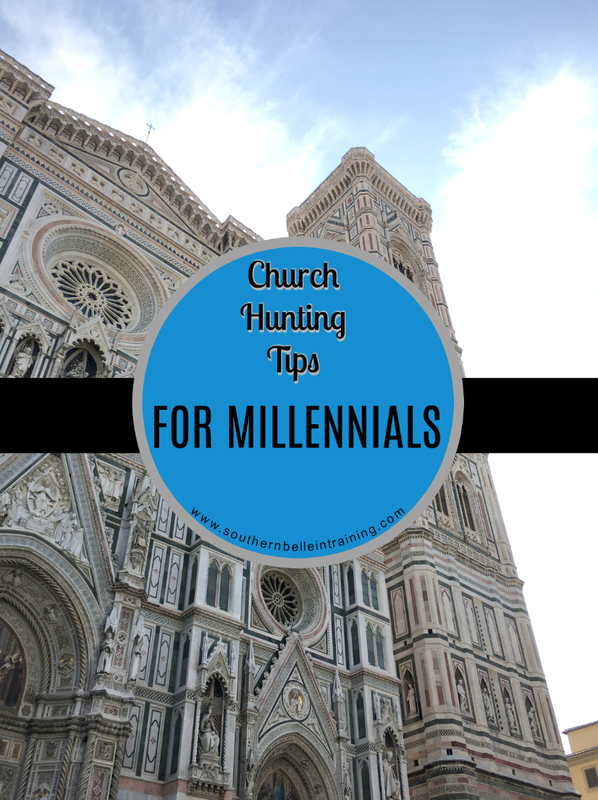 The good news is that there are many churches all over the country with a high rate of millennials attending- you just have to find one of those! A friendly congregation: With both my church in Vermont and the church I attend now in Virginia, on the first day that I visited I met girls that ended up becoming my close friends. Both totally by chance- I was seated randomly near a girl who was friendly enough to say hi to me! I will admit that I'm not always the best at spotting new people in church after I've settled into attending one- it's so easy to just get caught up in the familiarity each Sunday. But I am trying to be better about that! One friendly face and hello could totally change someone's perspective on visiting a church- it definitely has for me. Bible based preaching: I truly do think it's wonderful that there are so many denominations of church. Some people prefer to worship one way, some prefer a certain type of preaching, some prefer more ritual, etc. I really do believe that there is a type of church for everyone! 😊But with that said- when you're checking out a church, no matter the denomination, make sure that the preaching and messages given are truly bible based. There is unfortunately a trend right now, especially in some evangelical mega-churches, to preach a "prosperity gospel" (more on that in this article!). If the messages coming from the pastor or other church leaders sound "too good to be true", they probably are. On the opposite note- if a church is preaching or promoting anything that is too legalistic / traditional and makes you feel uncomfortable, that's not a good sign either. Find a church that sticks to the bible, but in a welcoming and loving way! Lots of ministries: You don't just want to go to church, you want to be the church! It is wonderful to find a church with both lots of internal ministries (ways to serve in the church body directly), and also external ministries in the local community, country, and world! Different people have different spiritual gifts, so the same ministry won't appeal to everyone. But that's the beauty of it! Examples of ministries to get involved with would be hospitality, children's, youth, outreach, administrative, media, and so many more! I was on the hospitality team at my church in Vermont for a few months of my time there, and this summer I have been praying about finding a new ministry to get involved with in my church here in Virginia. It's also great to find a church that participates in service projects or local missions to the nearby community, and that supports foreign charities or missionaries as well! A wide array of small groups: It is so important to make some close friends in your church community! Not everyone who goes to your church will be your best friend (that would just be weird! ), but at the same time, church is a family and you should have people within that family that you're close to! Look for a church that has a wide array of small groups or bible studies to join. I've been in a small group at three out of the four churches that I've attending since moving out of state, and all of those groups have been such blessings to me! I've been in both all female and co-ed groups- both have their strengths and weaknesses. Ideally find a church that offers both for your age group and see what you prefer! Both big churches and small churches can have the four things that I listed above! I went from attending a mega church in Charlotte to a very small church in Vermont, and I still felt at home spiritually in both. I would absolutely love to hear your story in the comments about church hunting and how it's played into your faith journey! Have you found a church home as an adult? Still searching for one? 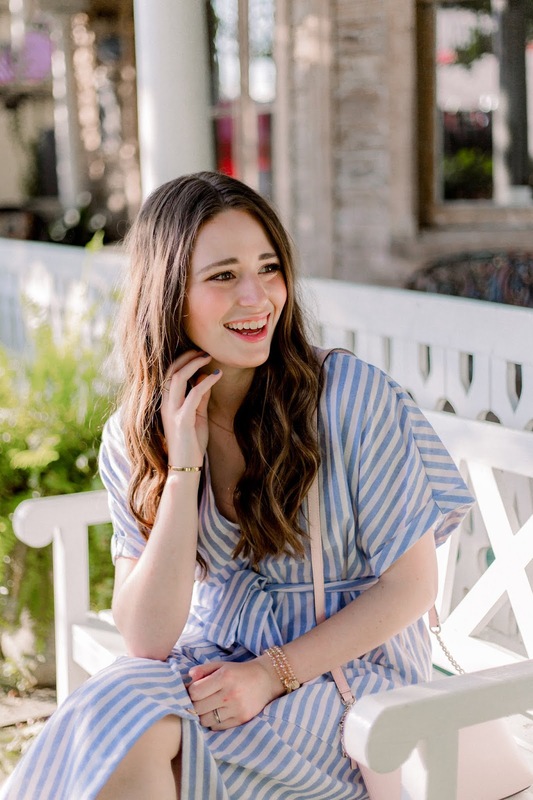 I've been trying to share my lifestyle posts lately on Southern Belle in Training, but today we're keeping it simple with an outfit post for this Monday! 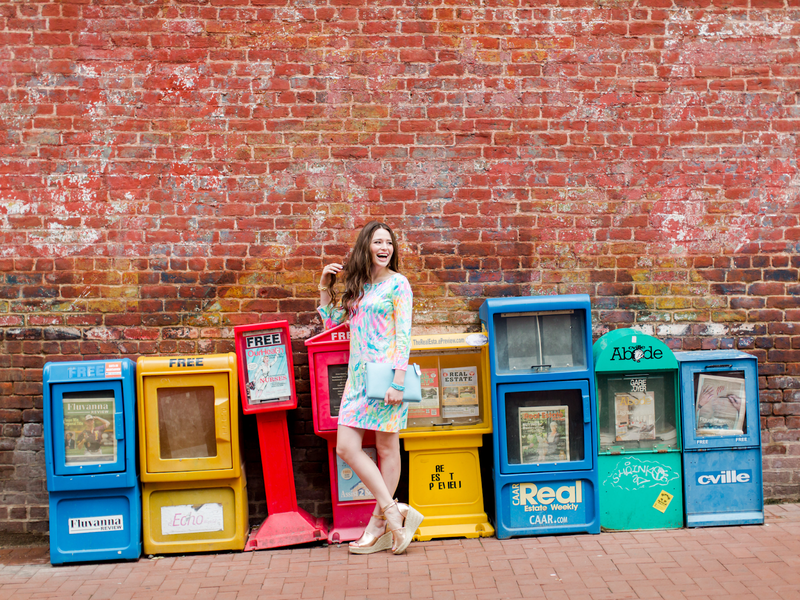 I live in casual cotton Lilly Pulitzer dress styles in the summer, and I'm excited to share this pretty dress on the blog today. Alright- onto this outfit. 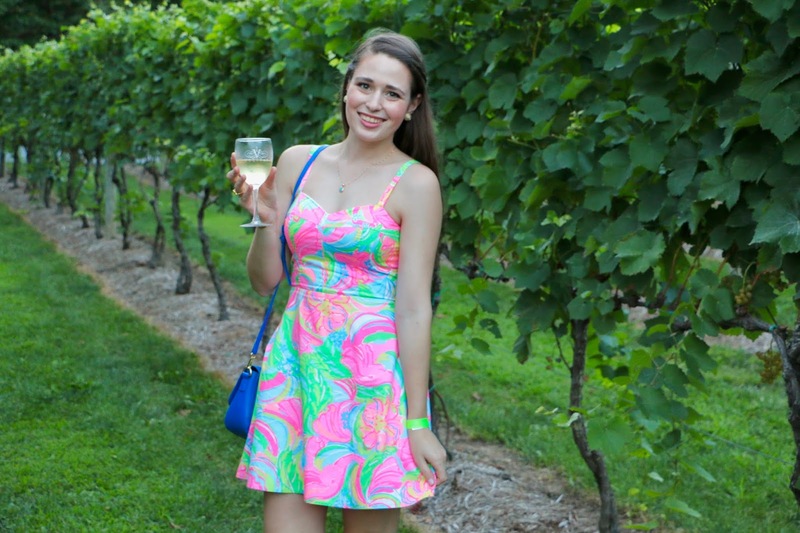 I've been absolutely living in my casual Lilly dresses like this one during this whole summer. I love how this dress looks paired with chunky wedges and some coordinating jewelry! It's an adorable summer look that could be worn anywhere from a casual office to church to date night. It's the type of outfit that makes you feel pretty and put together, but not over-the-top dressed up. Win win! Pictured above is the Veritas Viognier wine. Since moving to Virginia, I learned the Viognier grapes is actually the state grape! Viognier wine is my favorite type of Virginia wine -it's a sweet and summery white wine, with lots of notes of fruit. The Veritas Vineyards Viognier (try saying that five times fast!) is great. Veritas Vineyards is about 30 minutes from downtown Charlottesville, in neighboring Nelson County. It's a family-owned winery, which was founded in 1999. It's located pretty close to Afton Mountain Vineyards, which I featured in my last Monticello Wine Trail post. To find Veritas, you turn onto a long driveway, and are surrounded by fields upon fields of grapes on both sides, until you near the winery itself. It looks quite magical when you arrive! 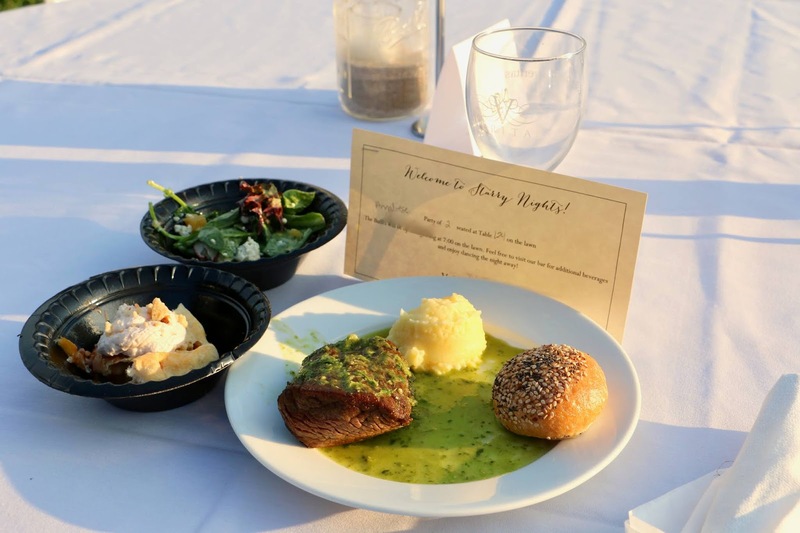 As I mentioned above, I recently attended Starry Nights, which is a monthly summer event hosted at Veritas. 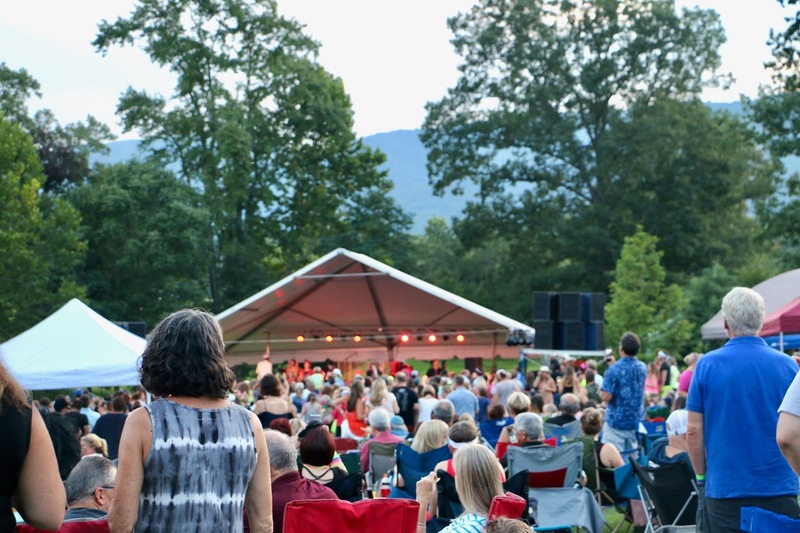 Starry Nights are outdoor concerts at the vineyard, featuring great bands. The band that performed this past weekend was The Legwarmers, an 80s cover band that has quite the local following! I'd heard a lot about The Legwarmers around town, so it was great to see them perform. The first couple hours of the event are for mingling, eating and drinking wine, and the latter part of the evening is the concert. I was generously given two media tickets for the event, and I invited my friend Eden to come with me. We loved the buffet dinner that was served, and enjoyed a relaxing Saturday evening outside, listening to the fun music from The Legwarmers! We also checked out the Veritas tasting room when we purchased our wine, and it is gorgeous! 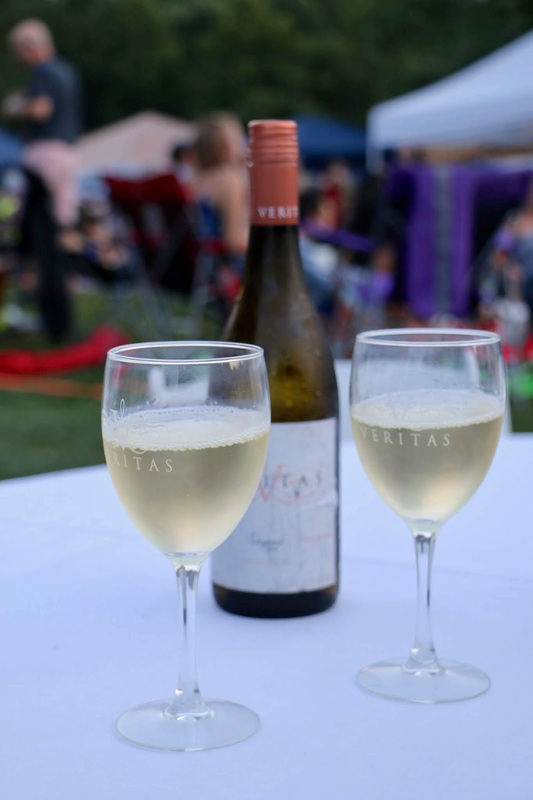 If you visit Veritas on a normal day and not for a Starry Nights event, you can sit in the tasting room on the comfortable sofas, outside under a covered table, or on the expansive front porch. This is a larger winery, so it seems perfect to visit if you're looking for one that could accommodate a larger group. 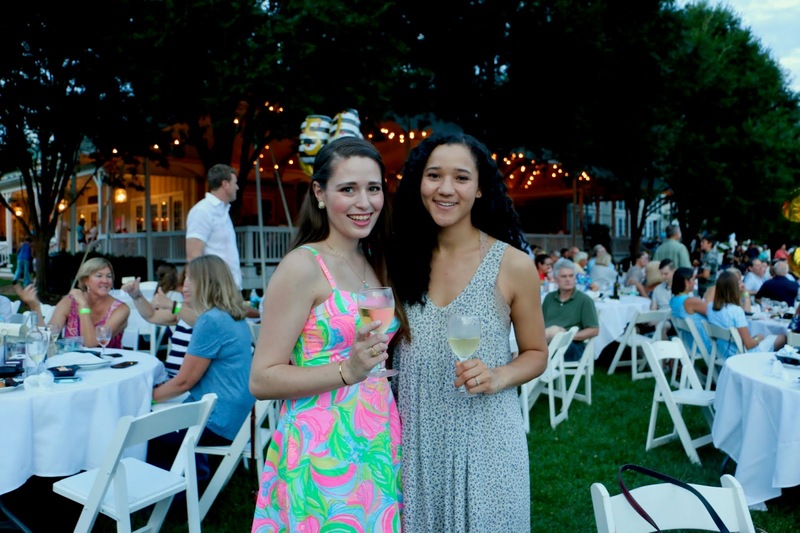 I really enjoyed visiting Veritas Vineyards and getting to go to Starry Nights! 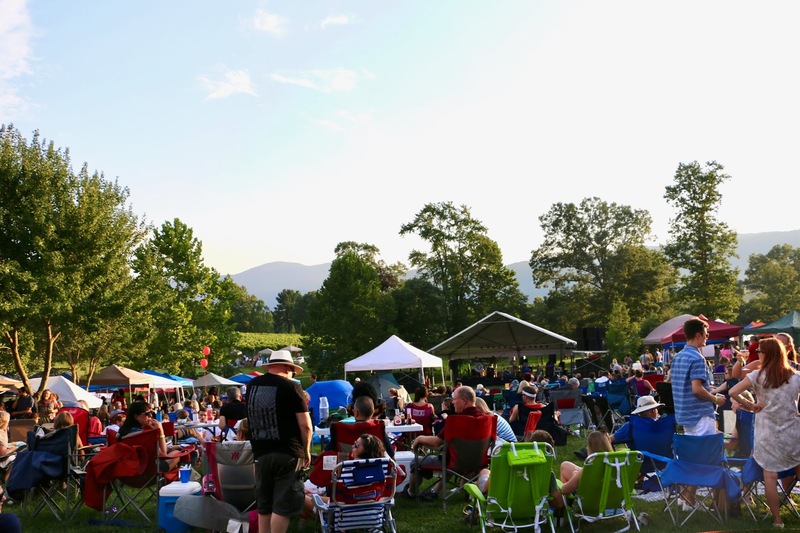 There are so many different local concert series in the summer all around Charlottesville, some free and some ticketed. I've been trying to go to as many of these as possible, and now I can check Starry Nights off!